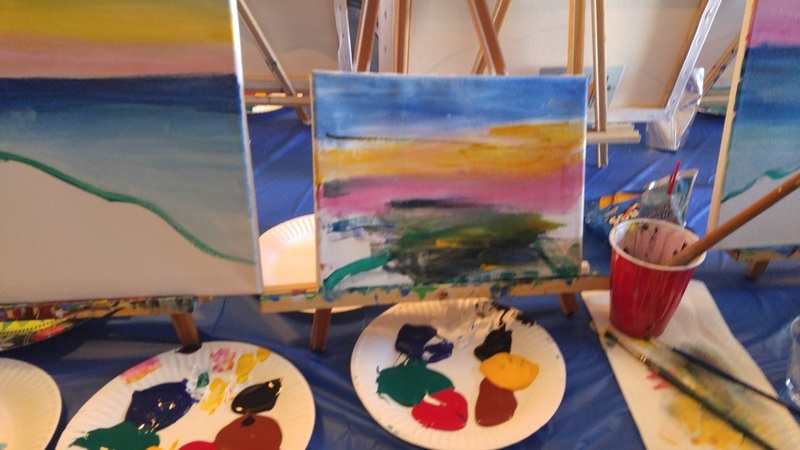 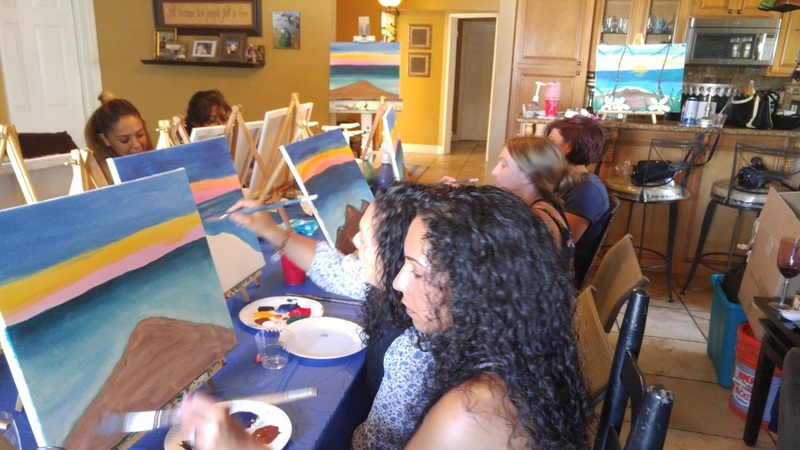 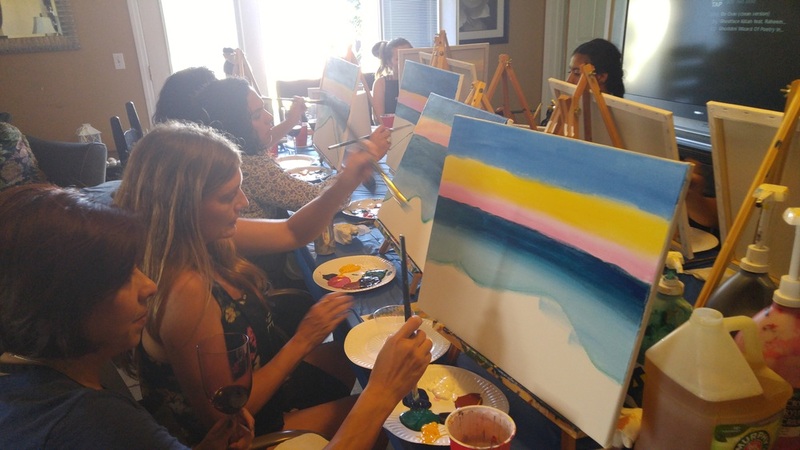 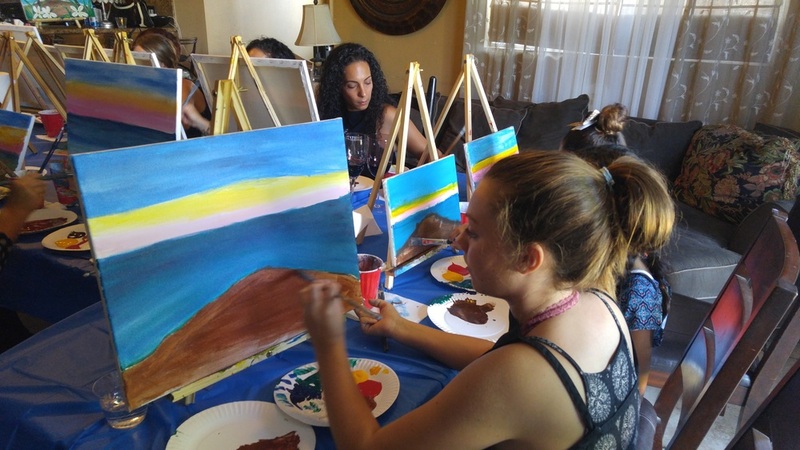 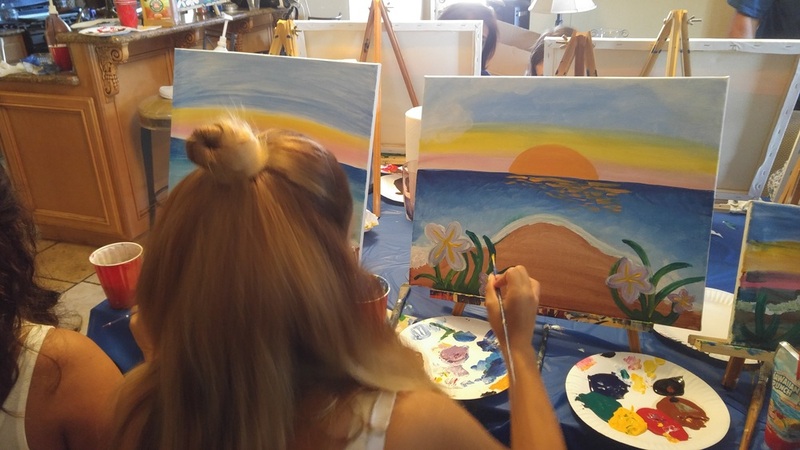 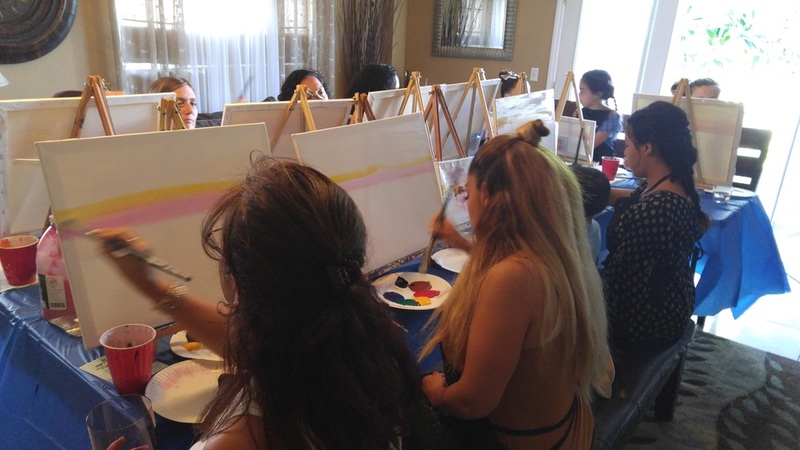 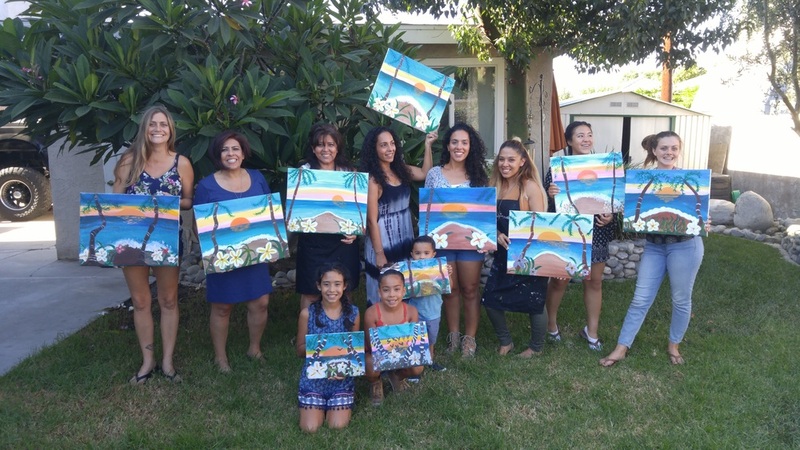 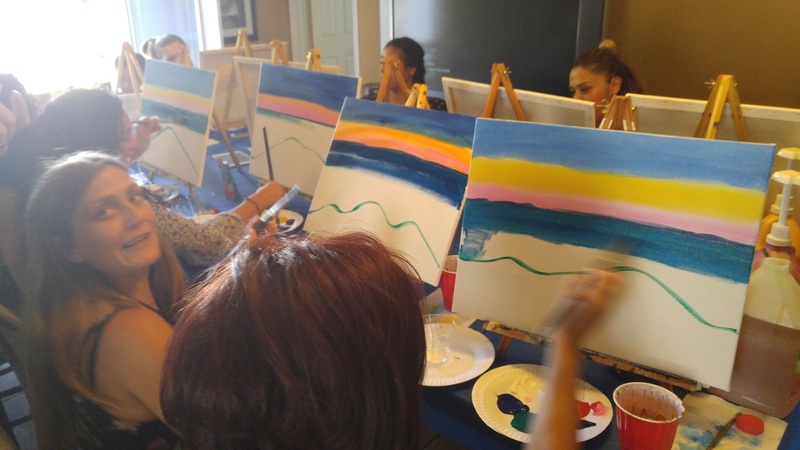 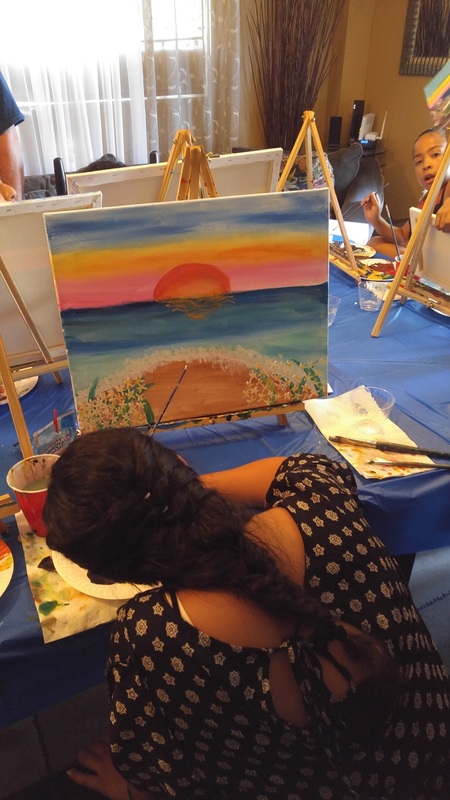 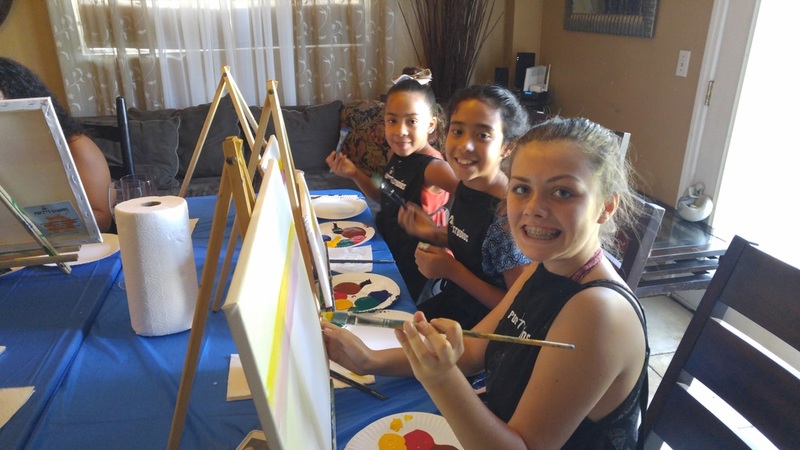 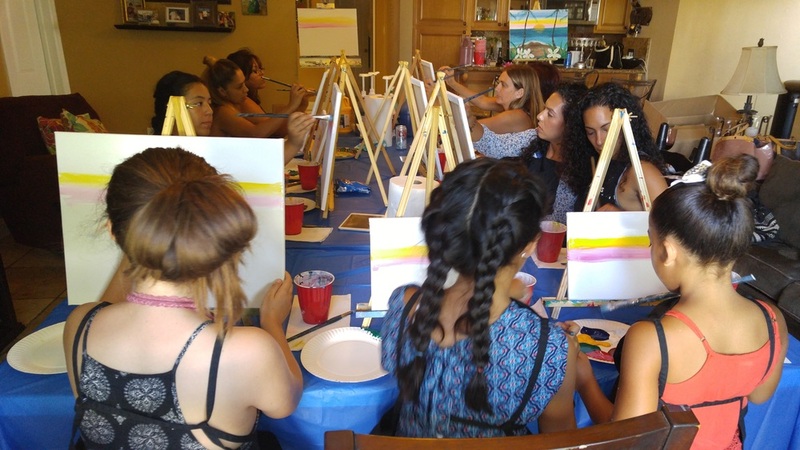 Pop Up Studios was invited to do a painting party in Long Beach, with one really vibrant and fun family! 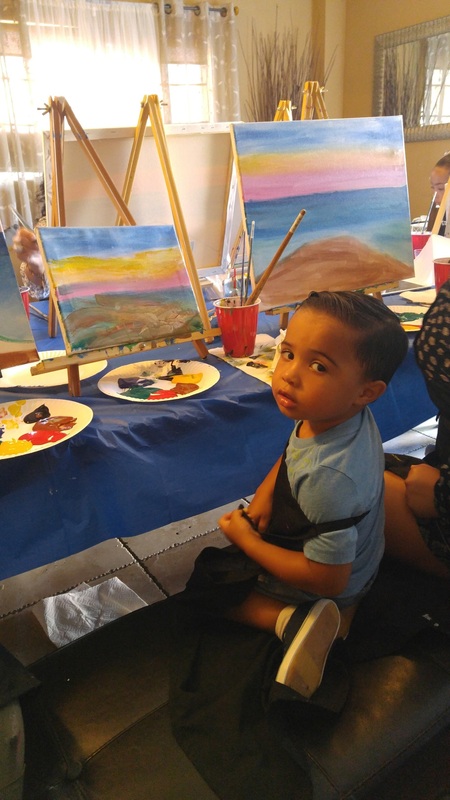 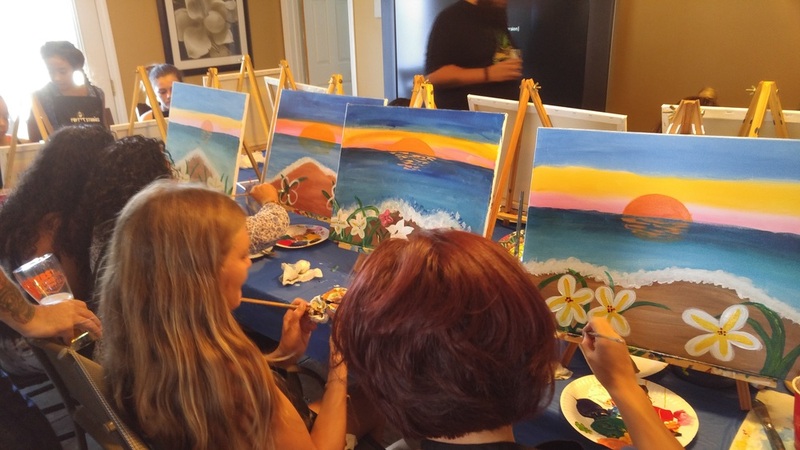 We were celebrating a birthday party and painting one gorgeous Maui landscape. 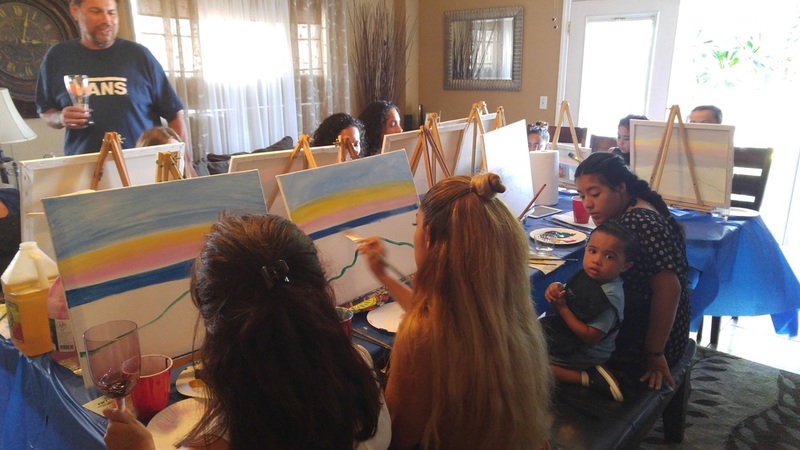 The painting was called, "Lil slice of Heaven" and step by step the whole family got through this painting. 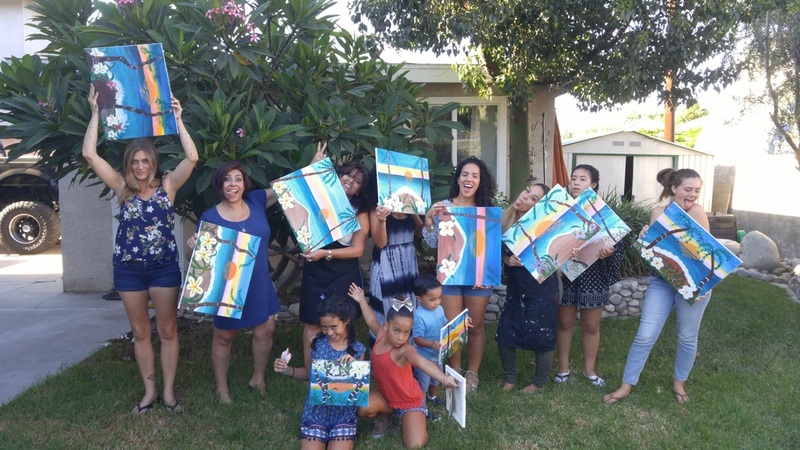 This was a party with all ages, and everyone finished with an incredible masterpiece. 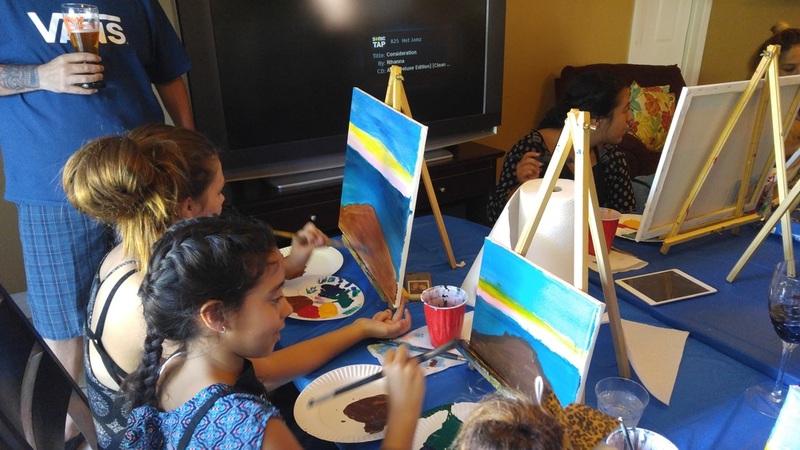 We had music, some really delicious food and of course lots and lots of laughter! 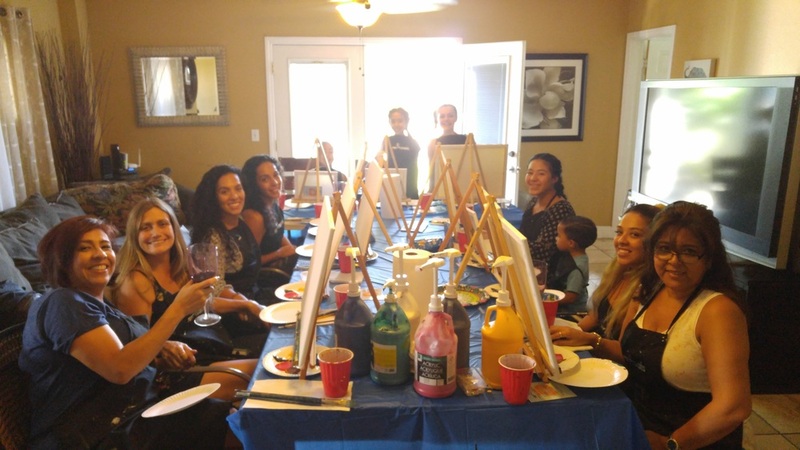 This was a great time, and a fun family, can't wait to have many more parties with them in the future.